Doomed tourists enter a black door to hell. 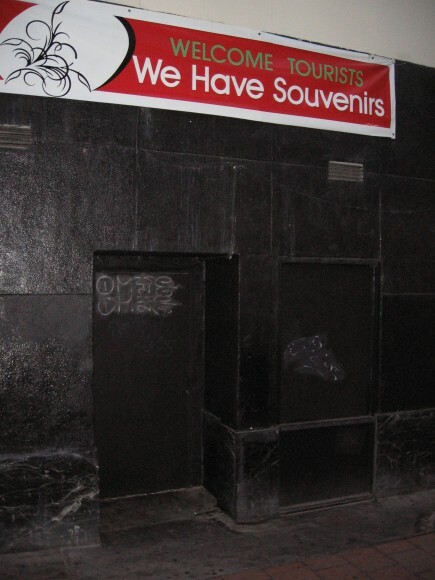 Sign above black door lures naive tourists into hell. I’ve seen every kind of tourist trap. This one beats them all. Lured by the promise of cheap souvenirs, throngs of happy tourists gladly press their way through this ominous black door. Rumor has it that anywhere from 1000 to 5000 naive tourists have passed through this door. On the other side, hell awaits. 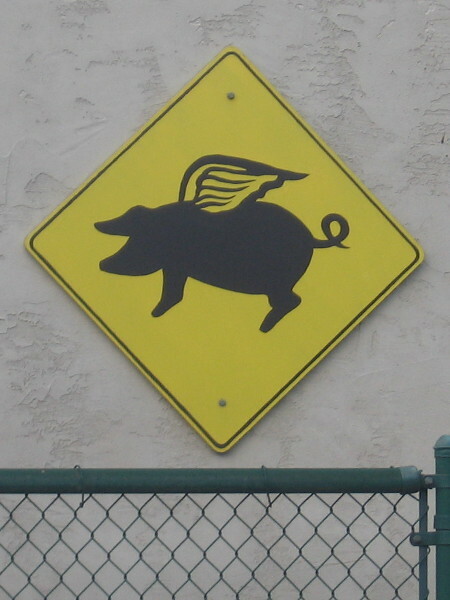 If you see this cheerful sign, stay clear.